today I am back with my card that I made at the weekend. 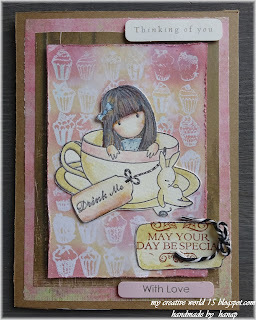 I´ve chosen Gorjuss Stamp from Gorjuss collection,Santoro-London. These stamps are my favourite too. 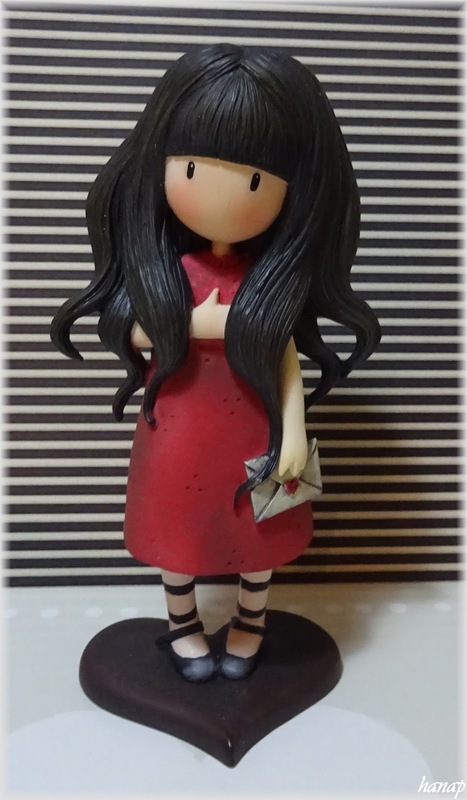 I coloured Gorjuss doll with Distress inks. I used VersaMark pad and clear embossing powder. After heating I coloured the paper with Distress Inks pads. The other papers are from Pressed in Time Pad col. I got this Gorjuss doll as a Christmas present from my friend. Enjoy your time with crafting. 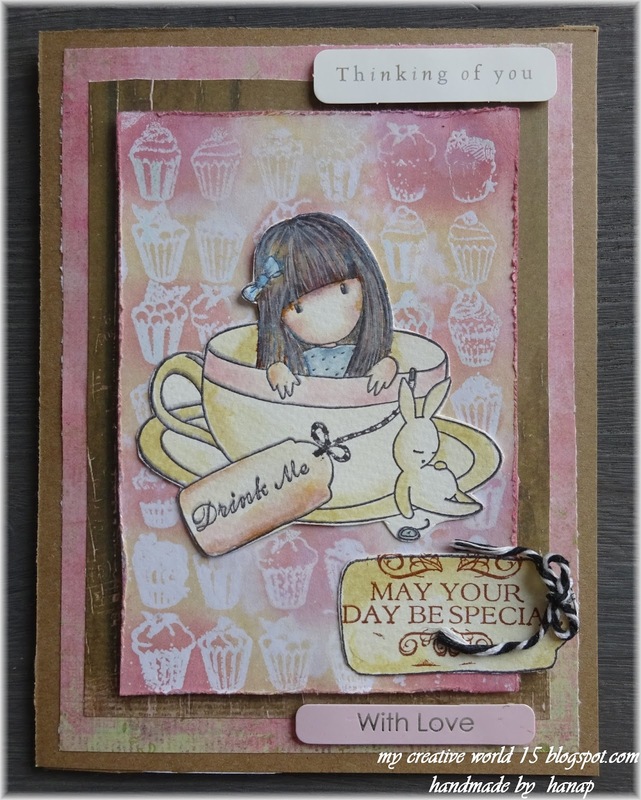 Pretty card - love that background! Thanks for playing at Craft Stamper!